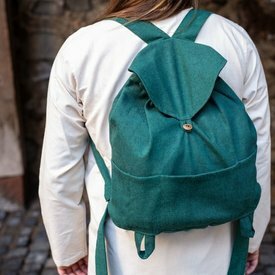 This is a perfect backpack for festival goers, explorers and other courageous LARP and Cosplay characters. Are you at a festival, Cosplay or LARP event and do you have to carry stuff or do you want to give your character an extra depth? This backpack that suits many characters has storage compartments that you can customize to your own liking. You can fill the compartments with parchment rolls, leather rolled books, magic potions, wands, LARP knives, metal hooks or any accessory, as well. Are you on a sunny hot day at a festival and is your cloak too hot? 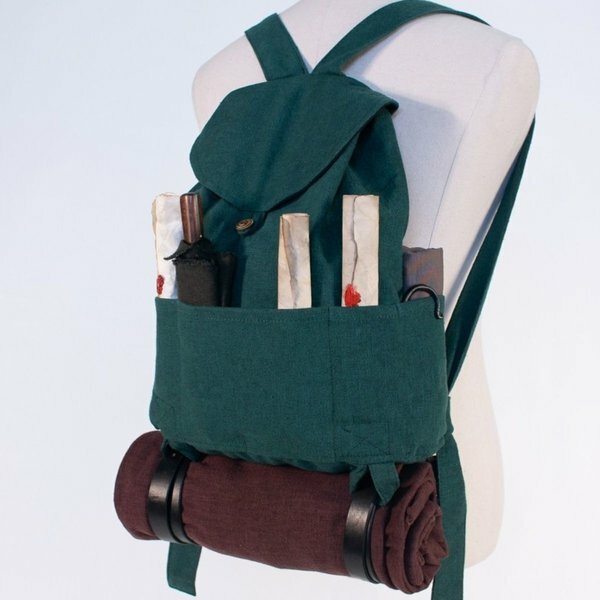 No problem, you roll it up and fasten it with a leather belt to the loops at the bottom of the backpack. You can also take a picknick blanket in this way, for example. On the inside of the backpack is also more than enough space to store all kinds of stuff. This bag has handles to hang it on your back and is closed with a button. It has several open storage compartments on the back. Note: the depicted accessories are not included. 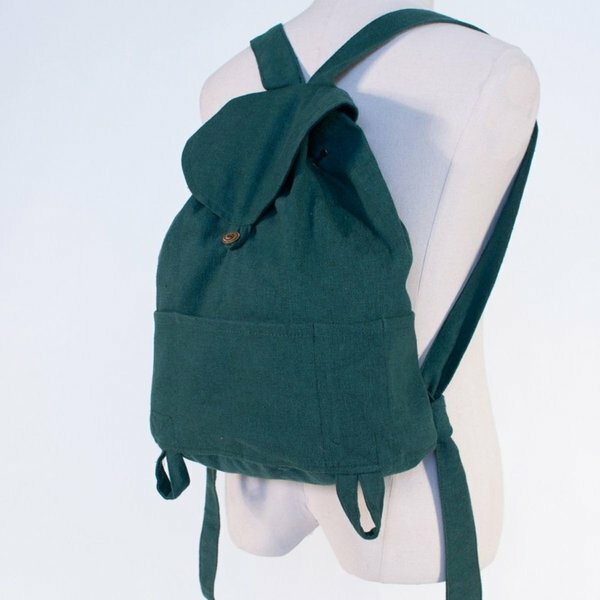 The backpack has loops at the bottom on which you can hang all kinds of stuff. The pictured belt is not included, you can use your own rope or straps to attach something at the bottom.